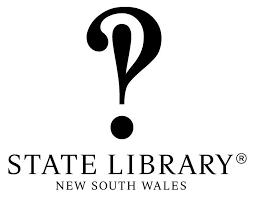 The State Library of NSW (SLNSW) has announced it will partner with four NSW public libraries to make local oral histories from their archives available to the public. Central West Libraries, Ryde Library Service, Wagga Wagga Libraries and Wollongong Libraries will be the first public libraries in Australia to use a new tool created by SLNSW, Amplify, which allows anyone to search, listen to and transcribe local audio collections. According to state librarian John Vallance, over 400 oral histories, hosted online for the first time, ‘are just waiting to be explored and transcribed’. Volunteers can transcribe recordings, which will then be delivered online and paired with machine-generated transcripts to make each audio file ‘accessible, searchable and valuable’ and to give users the opportunity to correct any errors as they listen along. Some of the first recordings to be hosted on Amplify include: interviews with workers from a WWII small arms factory in Orange; interviews with Italian and Chinese market gardeners in Ryde; and significant migration stories of Indigenous Australians around Illawarra and Wollongong. SLSNW plans to roll out the program across all NSW public libraries in the future, which will see the release of thousands more local oral histories from communities across the state. Digital volunteers are encouraged to get involved with transcribing stories using the Amplify platform. The Amplify tool was developed in partnership with Sydney-based development agency reinteractive using the New York Public Library’s open source codebase for its own Transcript Editor tool. To learn more about SLNSW’s oral history initiative, see the Amplify website.